While I was away, I confess to straying from my passion for kids books into an occasional thriller, a couple of Philippa Gregory’s historical fiction titles, and a few chick lit titles, but on to kids’ books. 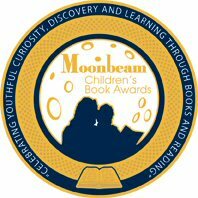 One that I totally adored was Skinnybones and the Wrinkle Queen by Glen Huser published by Groundwood Books. Tamara is the ‘Skinnybones’ foster care reject of the title while the ‘Wrinkle Queen’ is the ninety year old former high school teacher and senior care home resident, Miss Barclay. They meet when one of Tamara’s teachers matches students up with seniors at a nearby facility. They pair up on a Thelma and Louise style dash for the coast to indulge their respective passions—the Wrinkle Queen wants to go to the Ring Cycle Wagner operas staged in Seattle one last time while Tamara is desperate to take a modeling course in Vancouver. It takes months to lay the groundwork of subterfuge necessary, but the two finally set off with 15 year old Tamara at the wheel with her newly acquired learners’ permit. The deal is, if Tamara gets Miss Barclay to Seattle and takes her to the four day operatic extravaganza, the Wrinkle Queen will pay for her modeling course. That is if the two don’t throttle each other along the way. Their adventures are hilarious, but what I liked most was the snappy dialogue between the two. 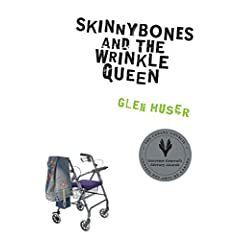 Huser tells the story from both the Wrinkle Queen and Skinnybones point of view and manages to successfully skirt sentimentality. Neither Tamara nor Miss Barclay are initially sympathetic of the other. Despite occasionally nodding off mid-sentence, the Wrinkle Queen is as savvy when she’s awake as she would have been standing in front of a classroom of teenagers who’d rather be any where else than where they are. She easily sees through Tamara’s fake movie star smile. Meanwhile Tamara is as tough as they come. She’ll do anything to get out of the foster care cycle and into the glamorous world of modeling including: lying to her foster family and social worker, ditching school, stealing, and helping a ninety year old lady escape from a nursing home. It is when the trip begins to unravel and their respective tough veneers begin to show cracks that the story is at its strongest. Skinnybones and the Wrinkle Queen is one road trip you won’t want to miss.